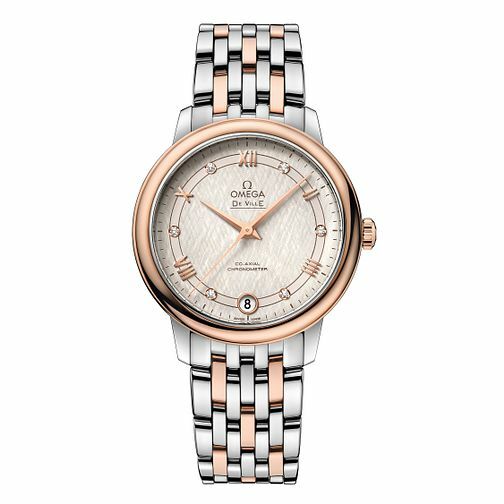 A luxurious 18ct rose gold and stainless steel bracelet watch from Omega. Crafted from stainless steel and featuring beautiful diamond set indices on a dial adorned with elegant butterfly outlines, this beautiful timepiece is powered by chronometer-certified co-axial movement. Also features up to 30m water resistance.